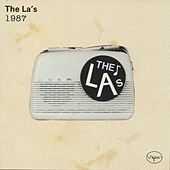 The La's inception goes back to 1984, when Mike Badger asked fellow Scouser, Lee Mavers, to join his band, which, at the time, was a rockabilly outfit struggling to make a name for themselves among the plethora of talented bands in Liverpool. Never having a stable lineup, each subsequent personnel change over the years brought a new set of ideas and alliances to the band, which culminated in the firing Mike Badger, its founding member, in 1986. Mavers, who had already begun writing the sort of '60s-inspired jangle pop that the band is known for, assumed leadership of the La's and began writing in earnest. Having nabbed a deal with Go! 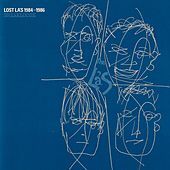 Discs, the La's released their first single, "Way Out" in 1987, much to the delight of critics who gushed enthusiastically about this perfect pop nugget. With another lineup change behind them, the La's released another chiming gem, "There She Goes," a year later. When the single failed to chart, the band put it down to bad distribution and headed into the studio to record their album, with the idea to get in, record and get out quickly. But wasn't what happened. Reality found the band struggling to accurately capture the sounds that were swirling around Lee Mavers head; vintage equipment was assembled under the tutelage of producers who were hired and then fired. Eventually, the band hooked up with Steve Lillywhite, whose sessions went slightly better than the band's earlier efforts, but in the end, the band walked out on the esteemed knob-twirler. That became a sticking point, resulting in the band and their label taking very different paths. The band maintain they walked out of the sessions for good and that Steve Lillywhite produced a clunker of an album that featured wrong vocal tracks, unapproved art and the wrong track listing. 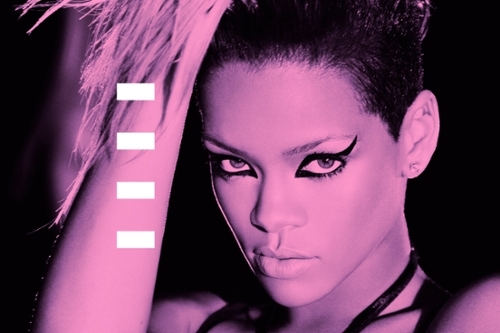 The label, on the other hand, said the band recorded the album and then refused to take part in any of the post-production for it. In the end, the La's eponymous debut sparkled brightly, crackling with raw energy and overflowing with melody, but Mavers never recovered from the betrayal. Not even a remixed version of "There She Goes" hitting the charts in 1990 could pull Mavers out of his funk. Whispers of a nervous breakdown quickly followed rumors of a drug addiction, and Mavers' hermit-like behavior added fuel to the fire. Most of the band waited patiently for singer to make his next move, but after a full year of inactivity, bassist John Power left to form Cast. A handful of shows here and there was all that was left and the La's sputtered to a haltÃÂÃÂwithout ever really formally breaking up. For the most part, Mavers has foregone music completely, putting his energy into raising his children, while their big hit, "There She Goes" lives on in TV commercials for Ortho Tri-Cyclen Lo birth control pills.